WHAT IS NOVEMBER LIKE AT DISNEY WORLD? Mid and late November are some of the best times of the year to visit Disney World, with cooler weather, low crowds, low prices, and fun special events. Other parts of the month are not so good. Jersey Week, beginning 11/3 in 2018, sees moderate crowds and higher prices at the deluxes. Thanksgiving week, beginning 11/17 in 2018, with high crowds and higher prices than the rest of the month, should be avoided. Note also that picking the right park to visit each day is critical at this time of the year. See this, and use the comment form below to ask me about your specific dates! On a crowd scale of 1-11, the week beginning 10/27 has a crowd ranking of 3/low, the week beginning 11/3 5/moderate minus, the week beginning 11/10 3/low, the week beginning 11/17 8/high-minus, and the week beginning 11/24 3/low. However, this time of year you will see much worse crowds if you don’t carefully pick which day to see which park. See this for guidance on picking Disney World park days, or use the comment form below to ask questions about your dates. See this for more on 2018 crowds at Disney World. Prices begin the month 5-10% higher than the lowest of the year at the values, 10-15% higher at the moderates and and 5-15% higher than lowest of the year at the deluxes. The deluxes follow a different price calendar much of the month. On 11/2 prices increase to 10-2-% higher than the lowest of the year. On 11/12, they drop back to 5-15% higher than lowest of the year. On 11/20 they increase to 25-40% higher, and on 11/24 they drop back to 5-15% higher. See this for more on 2018 resort hotel prices at Walt Disney World. Deals for the general public are available for November 2018. Find them here. Early November weather can be about as good as Orlando gets. 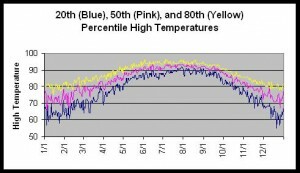 Over the course of the month, lower and much more variable temps emerge. Days can be perfect or quite cool. The 2018 Epcot International Food & Wine Festival continues until November 12. 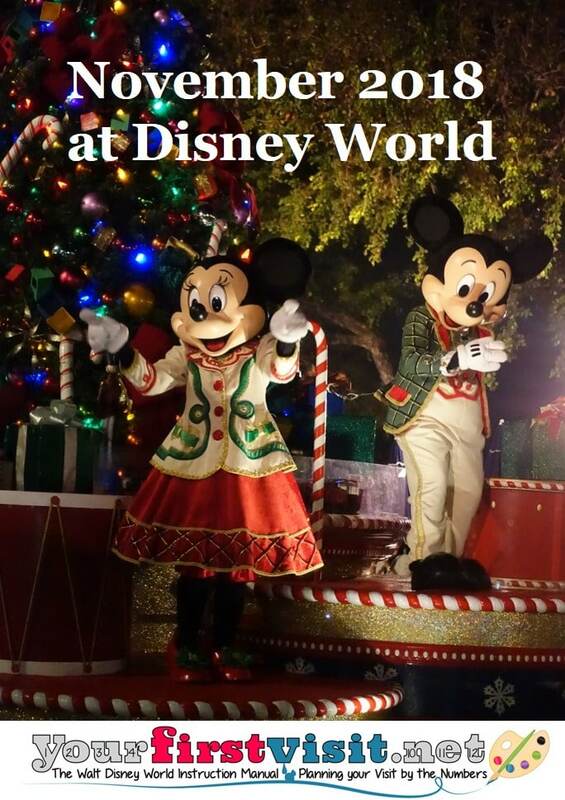 The 2018 Mickey’s Very Merry Christmas Party kicks off on November 8 and has many dates during the rest of the month–except for Thanksgiving week. Park operating hours vary by the day, and sometimes change without notice. It is rare for hours to be shorter than Disney has publicized, but Disney may lengthen them in response to unanticipated crowds. Opening hours may change to 8a. The week rankings that follow below are from 2018 weeks to visit, ranked in order, and are designed for first-time visitors who do not know whether or not they will return. 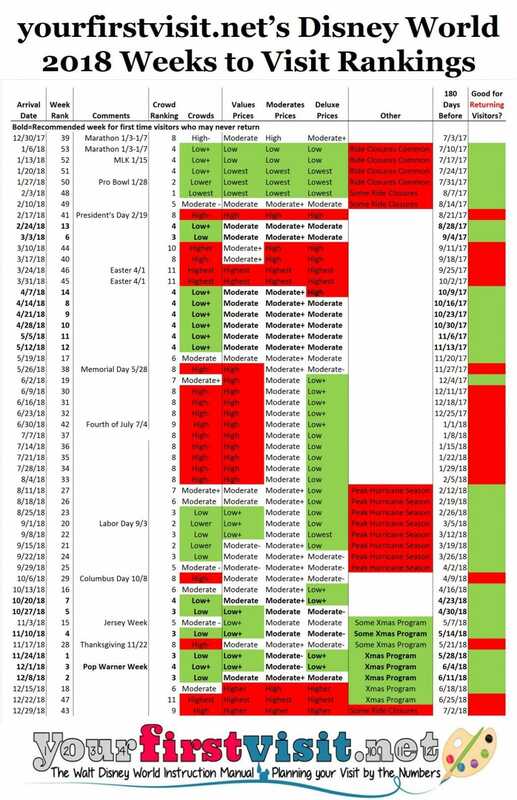 Click the image for a calendar view of 2018 weeks. The 26th will be bad, Joy, but with a good plan and an early start (and likely an afternoon nap!) you can make it work! Hi Kari, MK is a 2 day park, so even skipping stuff you need more than the party. I love seeing all the Christmas decorations in the parks and I’m here visiting with a local who I was high school besties with. She told me this is a good time to go as far as crowd but she said the last several days its been a little nuts. We were at MK today and it did seem a little crazy. Do you have any idea of a possibility as to why? I know there are technilcally no slow times anymore. Jennifer, your experience of crowds this time of year will be profoundly affected by which park you go to one which days, because of all the early MK closures. If you go to MK on a day it closes at 6p, it should be great; if you go there on a day it is open late, it will be as mobbed as it is any day most of the year. For similar reasons, if you go to an EMH park on a day MK closes early, that park will be mobbed. See this. Jennifer, actually I recommend party days, and suggest people avoid non-party days.